Stainless Steel Sheets Suppliers in Kanpur, Uttar Pradesh, Jindal Make SS Sheet Dealers in Kanpur, SS 304/316 Sheets Suppliers! 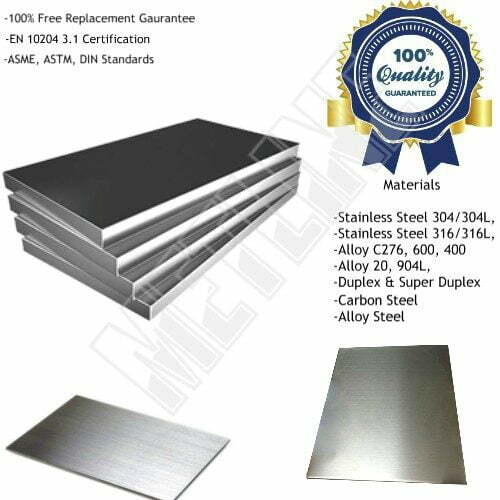 Buy best quality stainless steel sheets, at best prices from Metline, leading supplier of stainless steel sheets in Kanpur, the 11th most populous city in India and the largest city in the state of Uttar Pradesh followed by Lucknow. We are a stainless steel sheets supplier and the biggest supplier of stainless steel 201, 304, 316, 409, 410, 310 in Kanpur. We can offer immediate deliveries for various sizes and grades of stainless steel sheets. In Kanpur, Metline can supply stainless steel sheets, which have been cut to size, or slit to size as per customer requirements. All our stainless steel sheet products come from India’s top manufacturer of stainless steel, Jindal Stainless Ltd. Test Certificates, are available with materials. Contact Us, if You are Looking to Purchase Stainless Steel Sheets in Kanpur at Best Prices, with Best Quality!